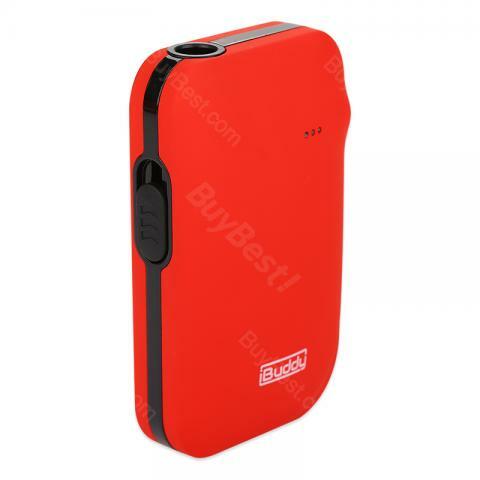 The iBuddy i1 Heating Kit is the first pin-style heating element with the build-in 1800mAh battery. The compact iBuddy i1 has beautiful appearance and the heating kit is available in Red, Black and White colors. The iBuddy i1 Heating Kit is the first pin-style heating element with the build-in 1800mAh battery. The iBuddy i1 is made of ABS and PC material, with compact size and beautiful appearance. The innovative heating kit has longer lifespan and it can raise the temperature as quickly as possible. It features integrated design with easier operation, and it is available in Red, Black and White colors. The iBuddy i1 Heating Kit will accompany your vaping every day! • Perfectly compatible with IQOS tobacco sticks such as Marlboro, Parliament, Heets, etc. It doesn't come with the tobacco stick, so you need buy it separately. This is my first device. It’s simple and works great. I would suggest getting this one vs the mini. Although, I can still get a day and a half out of the batteries with the .13 ohm coil at 80w. With the mini your without until it charges. This heating kit is kinda cute. I'm not using it myself, bcz I already quit. iBuddy i1 kit looks very special. Got is for my nana. She loves it.